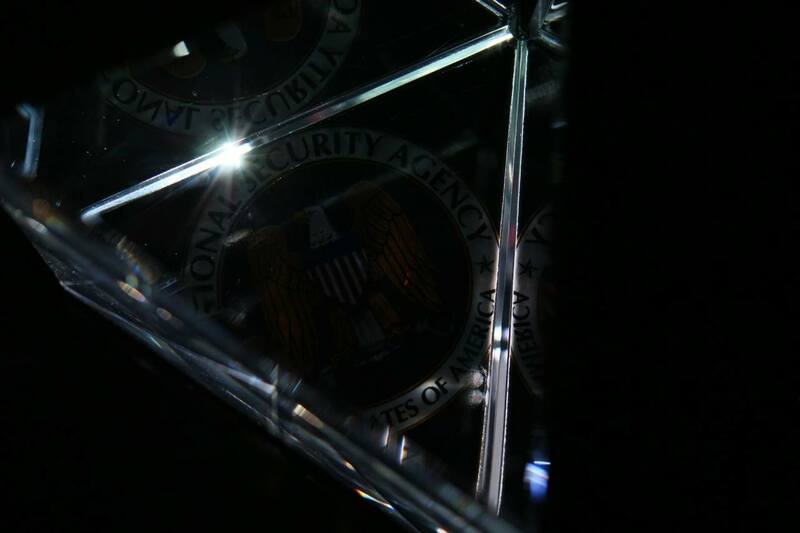 PRISM: The Beacon Frame is a functional response to the general absence of information as to what NSA PRISM equipment actually looks like. The military-grade case contains a tiny computer (running GNU/Linux), nano projector, wireless network adaptor and large solid-glass prism. 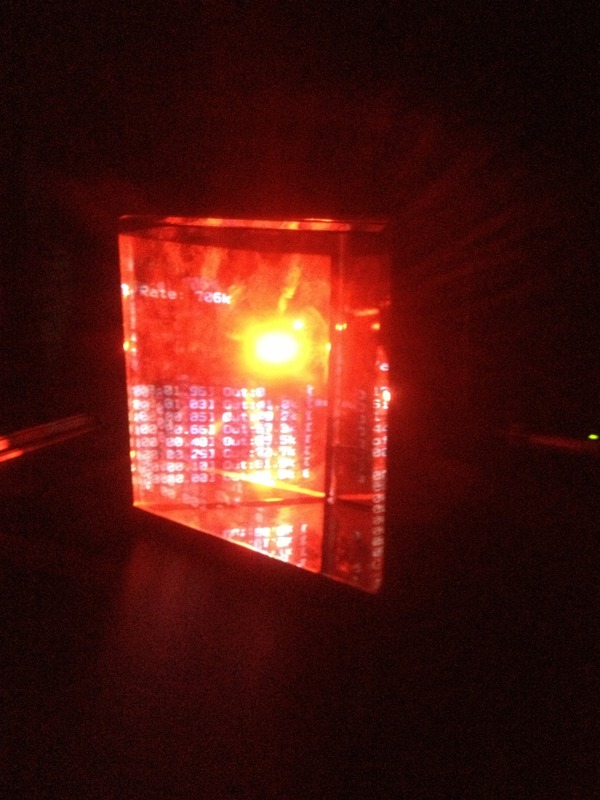 When activated, the prism begins rotating while the embedded computer listens for connection requests from devices made to local wireless access points. 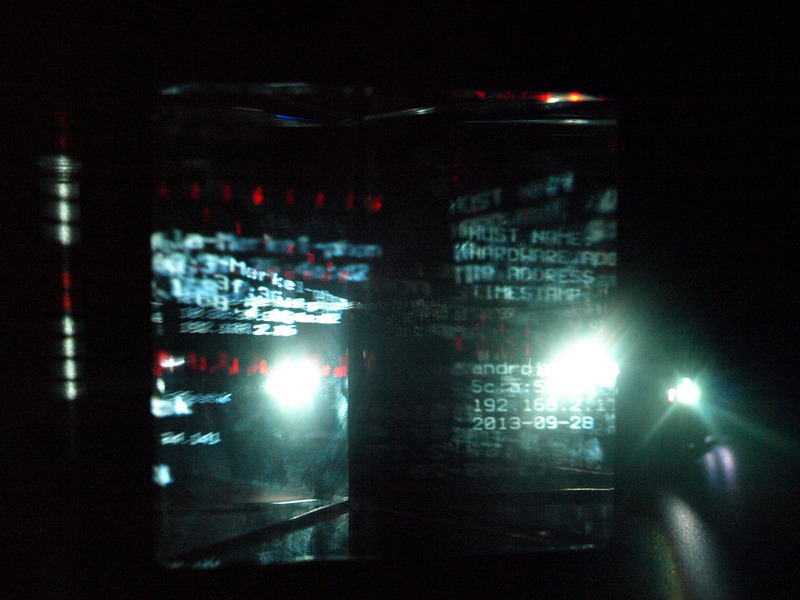 When detected, the hostname and unique hardware fingerprint of the device is projected through the prism and onto the surrounding environment; a subversive and exploitative light show. 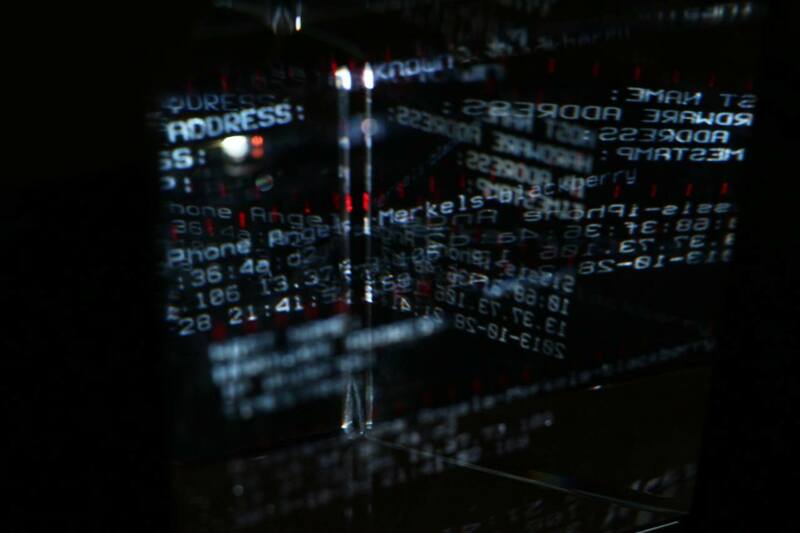 The Beacon Frame refers to an intrinsic technical element of a far more insidious second phase of the project to be presented at Transmediale 2014.